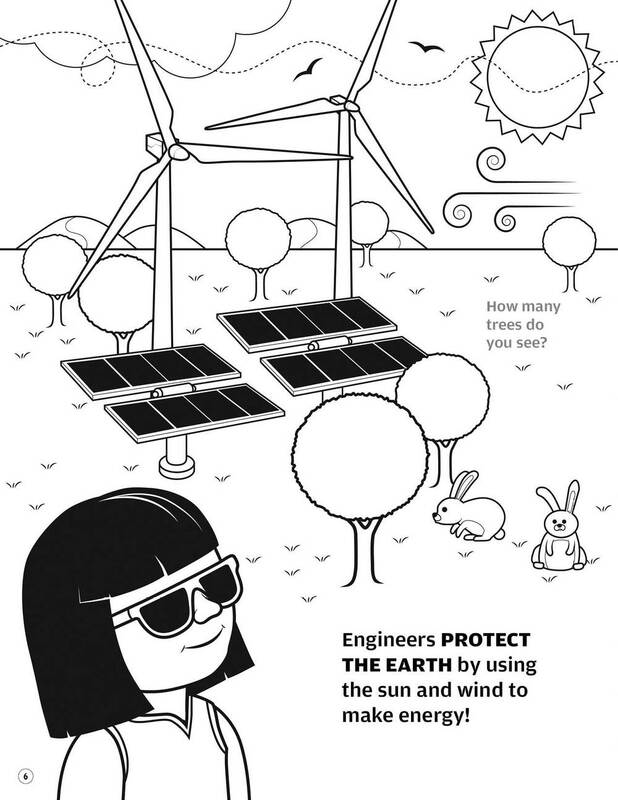 This 20-page coloring and activity book will help young children to see the world in a new way — as shaped and built by engineers — and to inspire their own engineering creations. They will learn that engineers build things that are tall, that go fast, that help protect the earth, that save lives — in short, that engineers can do almost anything! Several pages of activities follow, including a scavenger hunt, a maze, and a spelling challenge. A parent/educator page offers discussion topics and suggestions for easy activities at home. Read this book together and watch as children discover that engineering is all around us. Sample pages appear at right.